Video is becoming even more important to businesses of all sizes to communicate and reach their existing and new customer bases. Attention spans are becoming smaller and to do lists are becoming longer. Therefore, finding new ways to capture and hold a viewer’s attention is becoming more important. 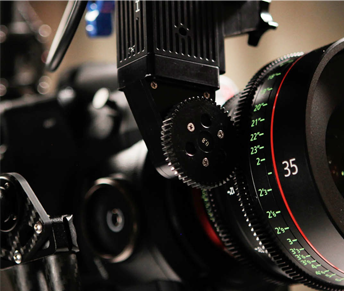 One great way to reach customers’ attention is through commercial videography and advertising. Once a business owner is able to realize this the next step is figuring out what type of video advertisement to do. This is where our staff at Ella Bella Productions can help. We have many years of experience in professional videography and helping all kinds of business clients. Have an idea for an online ad video you want to create? What about creating a campaign to reinforce a marketing campaign? We can help you take full advantage of not only live streaming but also pay per click video ad campaigns for your company. Thinking about social media? Yes, we can help you with that too. There are so many avenues for various campaigns that can be created, managed and executed to help boost your bottom line. Let us leverage our experiences to help you create one of these campaigns. Working on a budget? Let’s sit down and talk to see if there’s good chemistry and ultimately a pretty bottom line too.